There have been a growing number of reports that Apple is working on a larger form factor iPhone, presumably to better compete with the wide variety of Android devices currently available. Based on those rumors, there have been also been a number of speculative articles on exactly how Apple might adapt iOS to handle the increase in screen size. 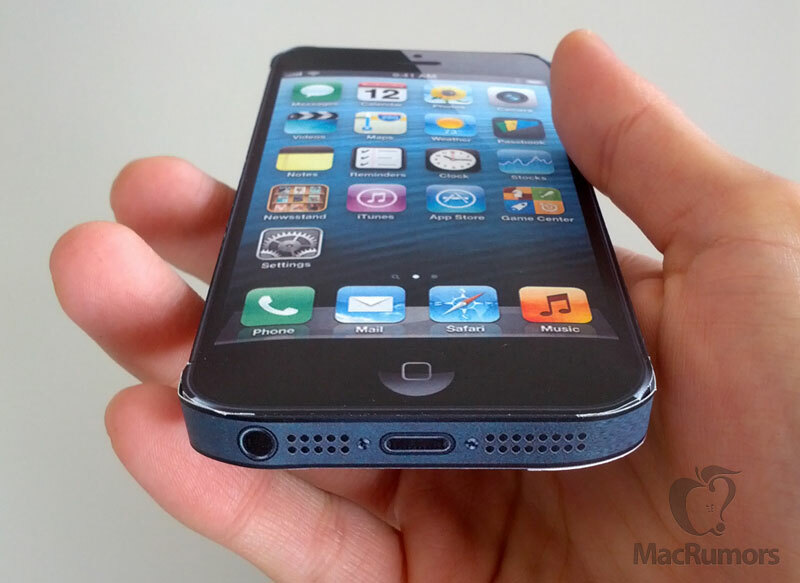 The predominant theory suggests that Apple will simply scale up the existing 4-inch iPhone 5 screen to nearly 5 inches. This would result in a display with the same 1136x640 resolution of the iPhone 5 but with a lower pixel density. The pixel density would drop from 326 pixels per inch (ppi) to 264 ppi, which conveniently matches up with the screen density of the full-sized iPad. While lowering the pixel density of the iPhone has led some to question whether Apple could continue using "Retina" display marketing, it does seem like a reasonable strategy that would allow Apple to increase display size without introducing yet another screen resolution to complicate app developers' work. To date, Apple has been very cautious about introducing new screen resolutions to minimize fragmentation. The other added financial and logistical benefit of using a 264-ppi screen is that Apple can continue to use the same screen production facilities and processes that are currently being used for the full-sized iPad screens. Another objection centers around the fact that increasing the screen size while maintaining the same resolution does not provide any more viewable area. This is not entirely true, however, as some features such as text with multiple font size options could be used to show more content on the screen at a given time despite the identical resolution. In order to provide a sense of how a 5-inch iPhone would feel in the hand and to show how the physically larger interface would appear in person, we've commissioned CiccareseDesign to create a papercraft mockup of a device based primarily on the design of the iPhone 5 but with the larger (almost) 5-inch display (PDF 1, PDF 2). We performed a similar exercise for the rumored 7" iPad that did provide a very accurate representation of the screen size of the then-unreleased iPad mini. Our new mockup can be printed out at 100% scale (example), trimmed, and folded to provide a three-dimensional paper version of the 5-inch iPhone. Readers can then see how a 5-inch iPhone would fit in their hands and get a feel for the size of the icons and other interface elements at the larger size. We've also included a separate printable PDF (100% scale) of screenshots from several different apps at the larger size to help users gauge usability at that size. In our testing, we felt that the larger iPhone fits surprisingly well in our hands. However, the ability to operate the device with one hand is significantly compromised compared to the iPhone 5. Whereas the iPhone 5 requires very little stretching to reach the opposite top corner of the screen with our thumbs, the 5-inch screen would definitely be a two-handed device for most apps. The included screenshots also show off existing apps that have been automatically scaled up to full size, resulting in tap-targets that are larger than on the iPhone 5. 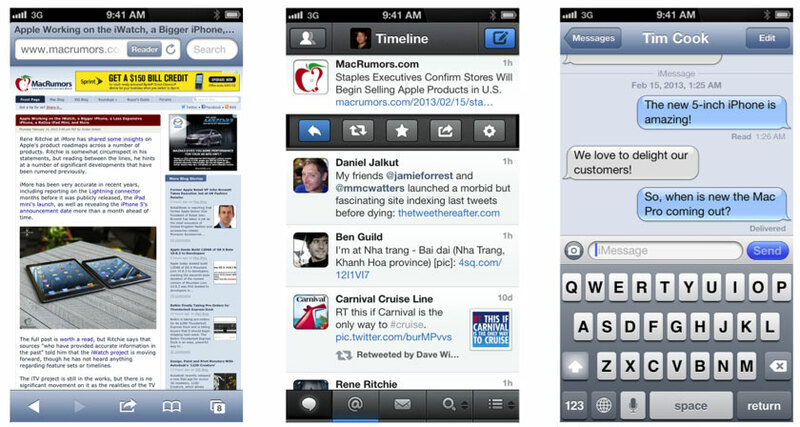 Developers could eventually offer different sizes for interface elements and font-scaling options. So far, the 5-inch iPhone is believed to be in prototype form, and the latest reports have suggested we are unlikely to see it in 2013. 1. 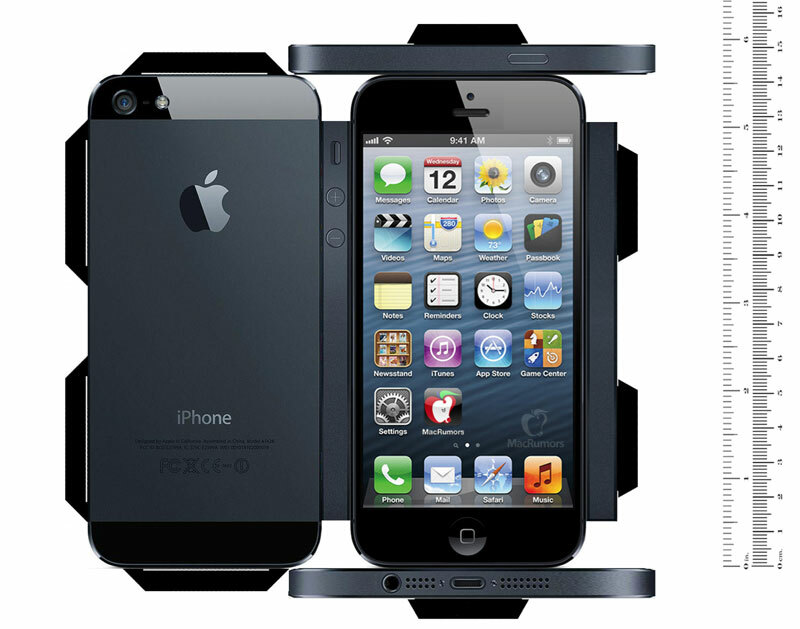 Take your iPhone 5. 2. Hold it a few inches closer to your face. As a bonus, it still fits in your pocket. At this point, the size is only half the equation. iOS is getting more and more dated by the day. Without a major iOS overhaul, I don't think they are going to capture any new marketshare. Or you could just get a newly released htc one. ...the cheaper iPhone revealed. Not made of plastics but of paper. Magical! OK, I downloaded and made one but I can't get it to turn off. WTF? This would do really well in a drop test - really well. Our new mockup can be printed out at 100% scale (example (https://cdn.macrumors.com/article-new/2013/02/scale100.png)), trimmed, and folded to provide a three-dimensional paper version of the 5-inch iPhone. Readers can then see how a 5-inch iPhone would fit in their hands and get a feel for the size of the icons and other interface elements at the larger size.